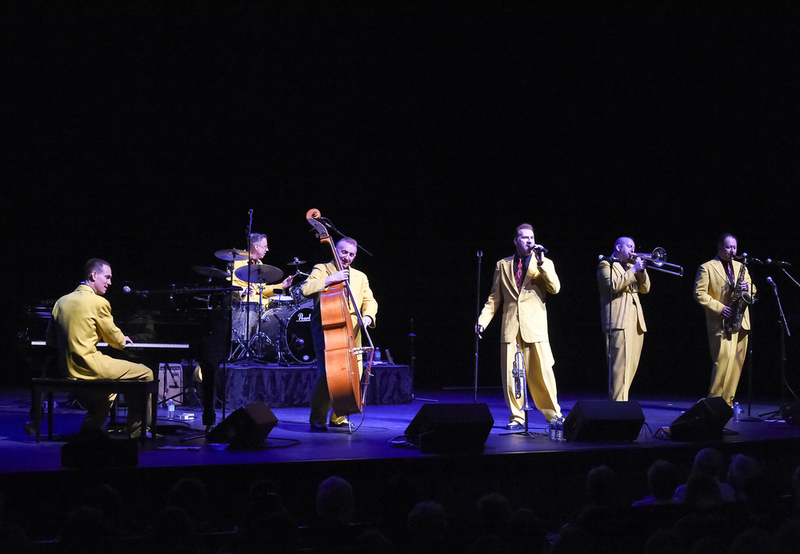 From beginning to end the show is full of vivid colors, '40s and '50s songs and rhythms with a dash of rock 'n' roll. The show earned rave reviews at last year's legendary Edinburgh Fringe Festival and the band has exhilarated audiences all over the world. The Jive Aces, who became famous for putting the notoriously grumpy Simon Cowell in "a good mood," just received the 2018 prestigious Music Award for Best Band in London.